No mid-engined Midas bronze visible. Perhaps the Midas was a prototype for the new IGM car which will be a nice compact Smart Roadster size, my kind of car, sadly not in my price range though. Off topic I also see Westfield are building a new spaceframe Libra replacement. Tony Moss has managed to blag some invites to the event next Friday. I'm not allowed to say how, or why, he got the invites just yet. You will have to guess but I can say that Tony was contacted by Gordon Murray Design a few months back. I hope to be able to say more after our visit. What a great day out. A once in a lifetime opportunity to meet a real hero of mine and see some fabulous cars. As you can see, Gordon Murray's Midas has been rebuilt and is all but ready to go on the road. Tony was contacted some months ago by the GMD workshop, as they had started on the rebuild and we have supplied some parts and advice to them. However, we didn't know if the car would be ready for this exhibition until photos started to appear on Facebook earlier this week. We got the opportunity to speak to Gordon Murray himself and he told us that he plans to add the car to his daily driver fleet, that is the cars that he keeps taxed and insured so he can use them any day he chooses. Apparently, he arrives in a different car most days He also plans to fit a bigger Alfa 33 engine in place of the 1.5litre Alfasud engine, but first he will get the Midas on the road. Good to hear it will be on the road. Do we know how long he's had it? I'm pleased that Gordon has still got his Midas and hasn't lost interest in it and can only be good publicity for Midas. 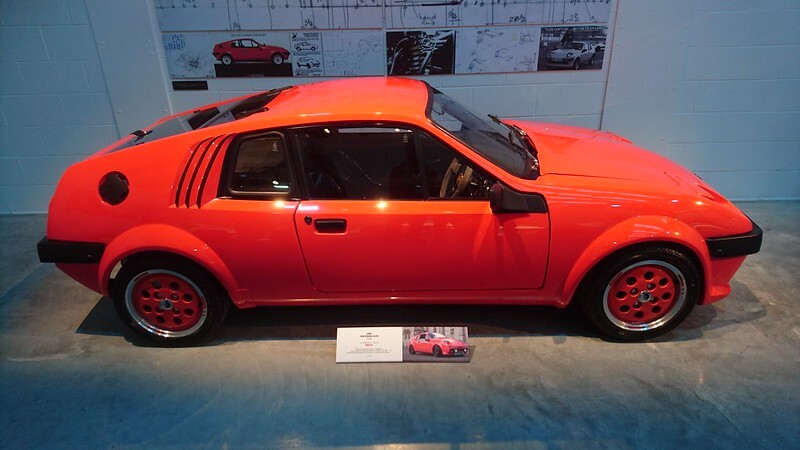 When I was looking for a mini based kit car in the late eighties and there was a fair few around, part of the reason I finally settled for a Midas was the fact that an F1 designer owned one and did have some involvement with Midas cars. Last edited by fozzza on Sat Nov 11, 2017 1:16 pm, edited 1 time in total. Gordon Murrey's connection was mentioned by a couple of the many visitors we had on the stand at the NEC today. A number remembered Midas's from the early days as one of the quality kit cars of the era. I don't think there's anything like this video on Gordon's Midas build. There is an editorial about the mid-engine Alfa Midas, written by Gordon, in the March 2018 edition of Classic Cars magazine.